In a digital-first ecosystem where today’s typical consumer is exposed to more than 10,000 daily brand messages, how can marketers ensure they are being heard when it matters most? This is the overarching challenge that marketers of all industries face, but it rings especially true to those in the educational space. Generally speaking, educational marketers are judged most heavily upon their overall effectiveness when it comes to cultivating the long-term engagement that drives student enrollment and alumni donations. In our guide, we identify why educational marketers encounter difficulties, as well as the challenges and uncertainties they must face when it comes to consistently delivering the metrics they need. Choices Galore: Incoming students can peruse 4,700 different 2- or 4-year higher ed institutions to attend after high school. Competition Rivalry: More than one-third of incoming freshmen will apply to at least seven different schools prior to acceptance and enrollment. Alternative Paths: Emerging EdTech programs cost a fraction of traditional 4-year institutions and enroll 58 million students yearly. High Stakes: An estimated $13.5 billion was given back to alma maters last year, but not all institutions are accomplishing their goals. Operating Sustainability: Donations account for approximately one-tenth of all operating expenses and are a vital revenue stream for sustainable excellence. There’s More to Give: Donation frequencies from alumni are trending up, and forecasts for future student enrollment are growing as well. 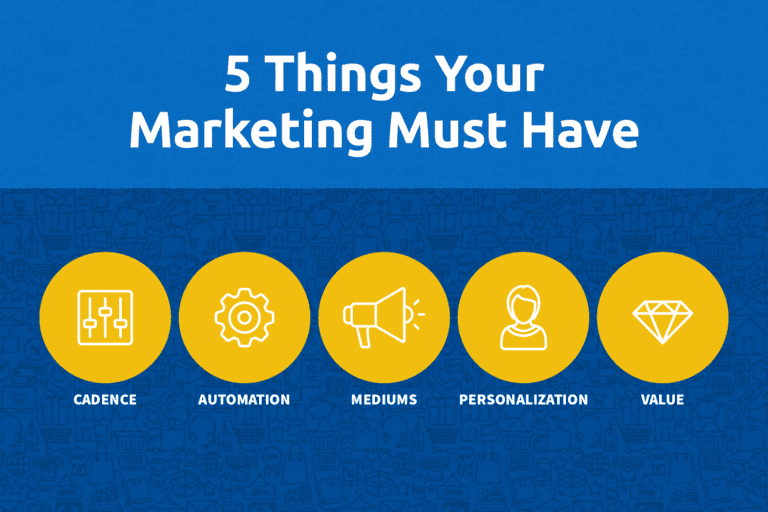 Successful marketers must cut through this noise and build the connections which propel actions. 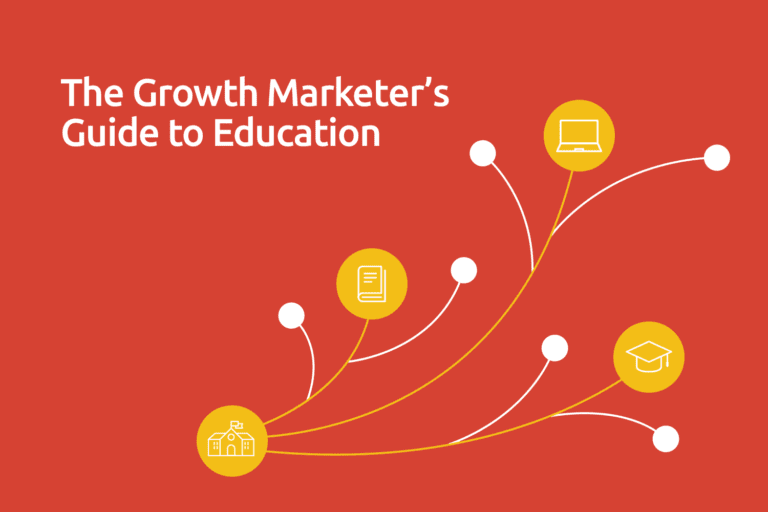 Inside The Growth Marketer’s Guide to Education, we’ve pinpointed how education marketers can tackle these challenges head-on and surpass their benchmarks. 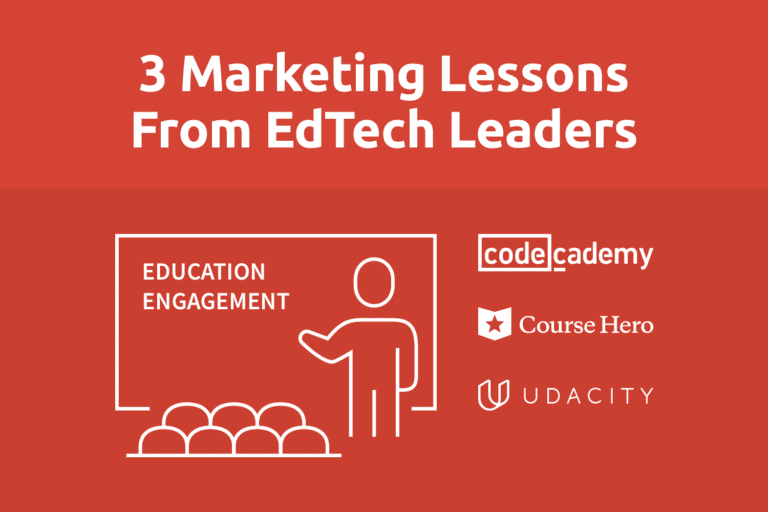 By first acknowledging and then removing the specific linchpins which bar institutions from captivating their audiences, we demonstrate how educational marketers can start paving their path toward unlocking omni-channel relevance. Critically assessing how your institution markets to the dynamic needs of your audience is more important than ever. The bar continues to be raised while institutions nationwide selectively adopt different acquisition and conversion strategies learned from other industries. Our guide reveals how an agile approach powered by next-gen technologies will help you future-proof your organization for long-term success.